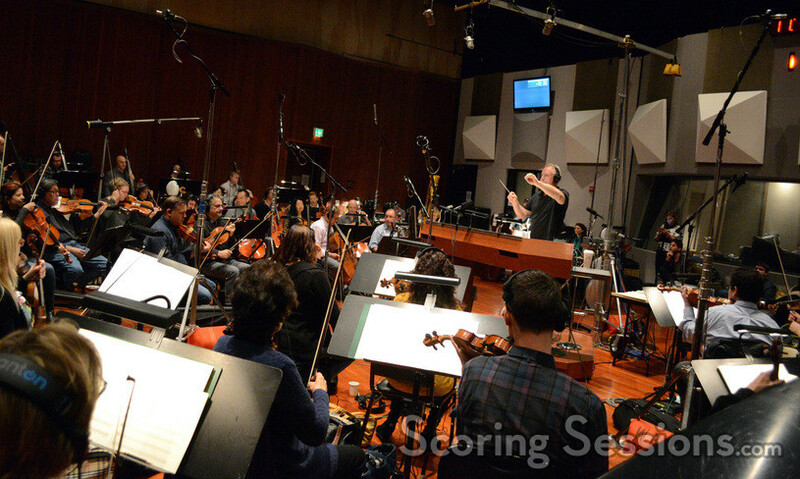 Last year, Oscar-nominated composer John Debney recorded his score to the new family film, The SpongeBob Movie: Sponge Out of Water, the sequel to the hit 2004 film based on the popular television show. 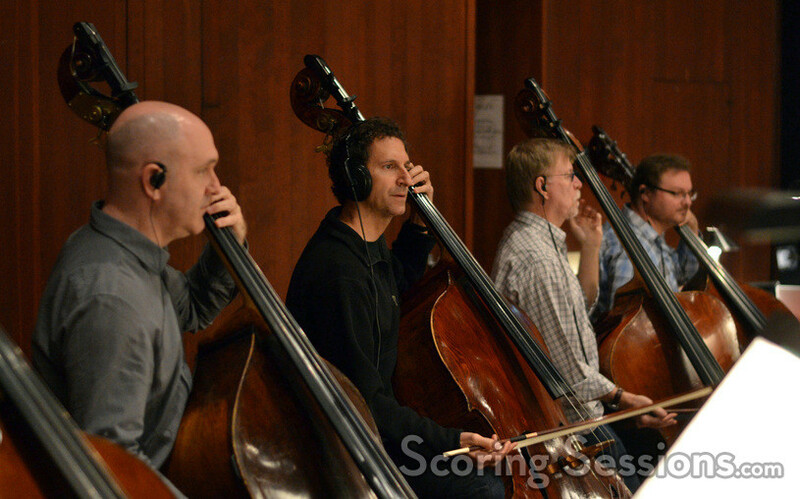 The music was recorded at the Eastwood Scoring Stage at Warner Bros., and ScoringSessions.com is thrilled to bring our readers exclusive photos from the scoring sessions! 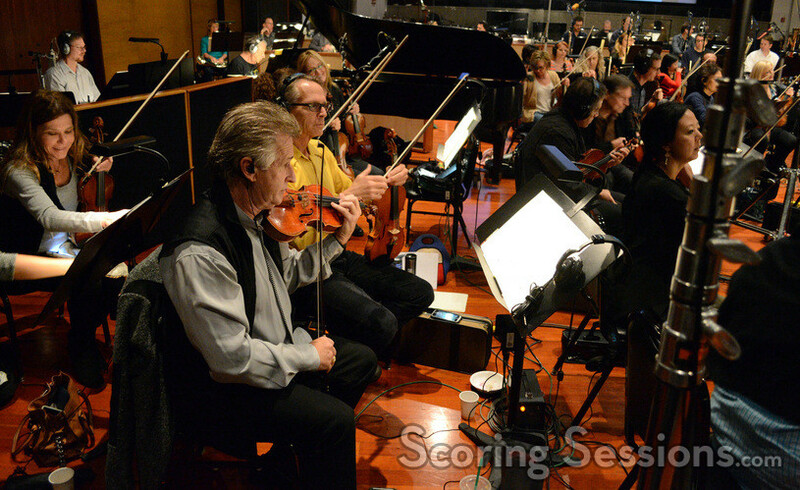 The 85-piece Hollywood Studio Symphony was conducted by John Debney. 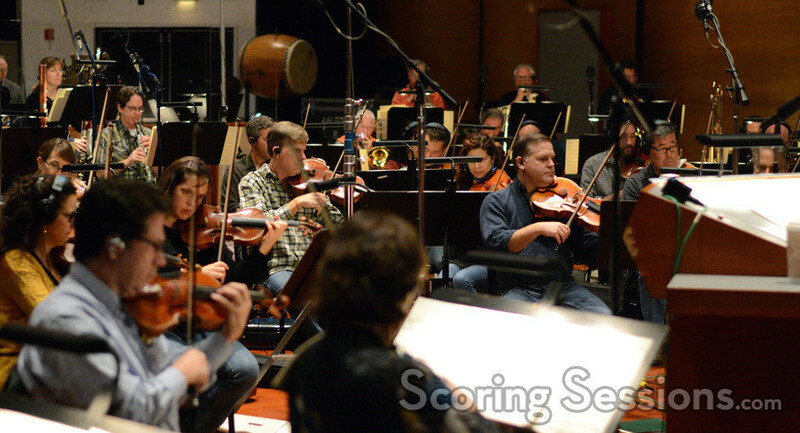 Much of the music we heard at the session we visited was underscoring the large-scale action setpieces, and the score certainly benefited from the large ensemble on the stage. 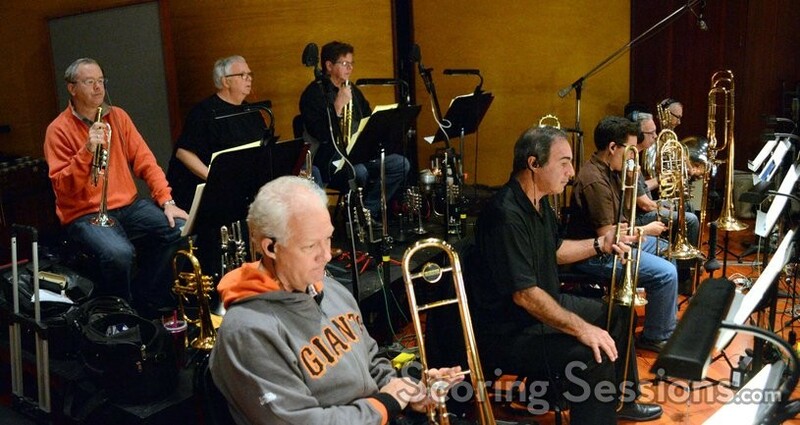 In the booth, scoring mixer Shawn Murphy was working diligently to ensure the sonic quailties of the recording were spot on. 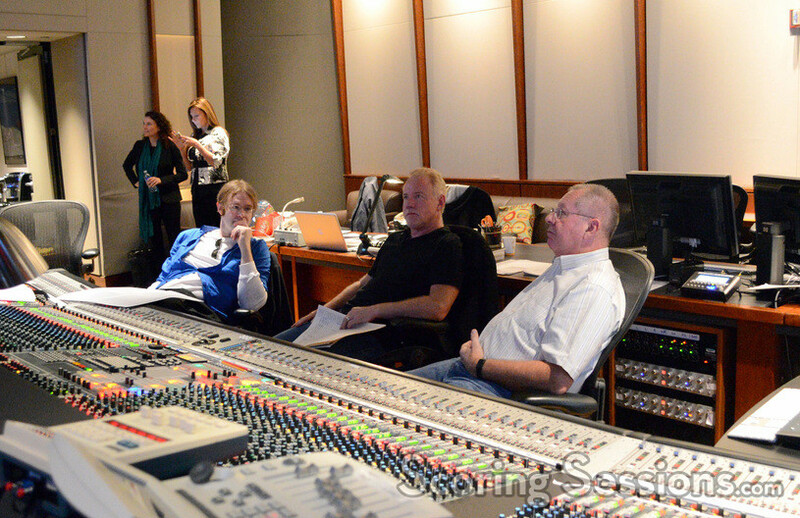 Also on hand to lend feedback to Debney out on the stage were orchestrator Kevin Kaska, as well as music editor Jeff Carson. 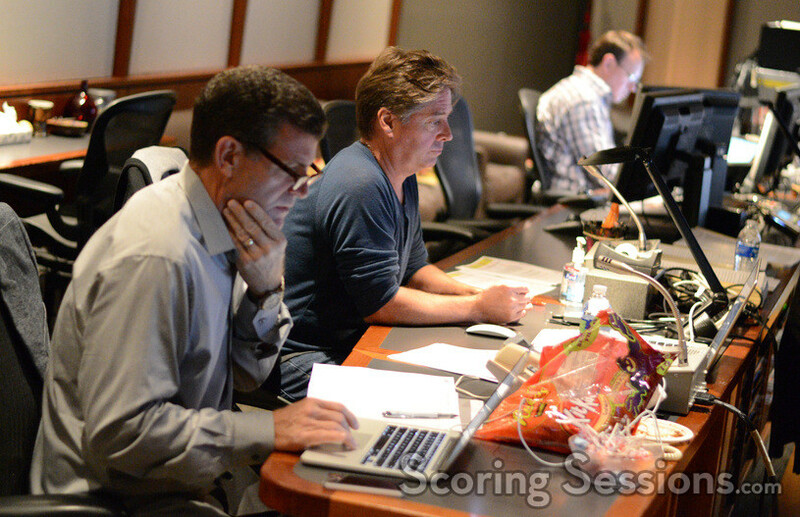 ProTools recordist Erik Swanson and musician contractor Dan Savant were also in the booth. 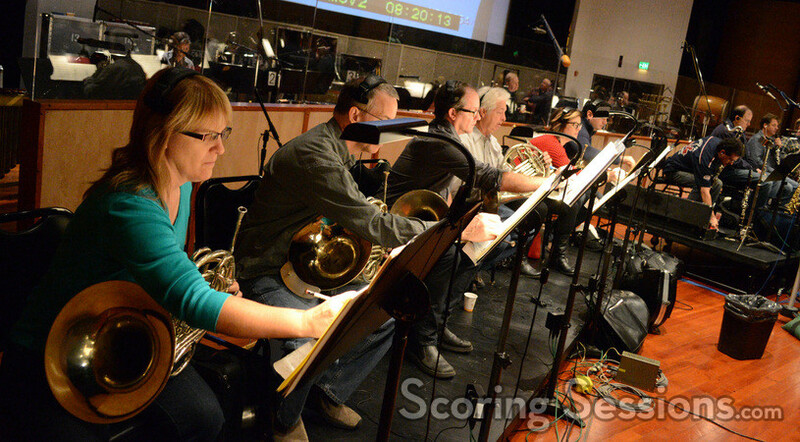 The SpongeBob Movie: Sponge Out of Water opens in theaters today; there is no word of a score album at this time.